An authorization letter sample is a document used to empower or enable a person, a company or a law firm to take a decision such as sign on legal documents, retrieve documents, give commitment, participate in some event, or take any other action on behalf of another with permission. You are entrusting someone with power to act in your behalf, so this type of letter needs to be drafted with proper care. So, only write this letter that temporarily grants decision-making powers to a trusted colleague. Mainly, authorization letters are used for legal reasons, so it is always advisable to talk to an attorney with experience with powers of attorney, such as a lawyer or law firm who handles estate planning when writing an authorization letter sample either for personal use or for business. Be very specific and detailed to avoid further controversies, disputes, and complications. Write the dates from which the letter will be effective and be revoked (from June 1, 2016 to June 30, 2016.”). For medical matters include your medical insurance number and claim information or case number if it is a legal issue, or account information for financial matters. In some instances, it is a good idea to have a witness sign and date the letter and have it notarized by a notary public. A person might be in trouble if signing a legal document on someone else’s behalf without having the explicit permission of the person he/she is signing for and the authority that the person expressly conferred upon the signer. Even if it is done in good faith and intended to help that person out with with specific matters, such as: legal issues, financial matters, or health directives. give permission for minors traveling with adults who are not their parents or guardians. give permission to make basic emergency medical decisions regarding the child in someone’s care. give permission to someone else to handle issues that arise with a bank account or financial institution. give permission to release personal information, such as school or medical records. 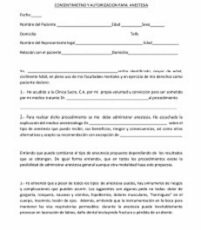 Here we have a perfectly designed authorization letter sample free of cost for your reference. I, _______________________, hereby authorize Mr/Ms ___________________ to take over the authority of claiming information and relevant documents in regards to the possession of my _________________________________ property assets. She will be responsible for receiving or collecting official documents, signing papers related to possession and hand over of the property. This right is effective from __/__/____ to __/__/____. I, _______________________, hereby authorize Mr/Ms ___________________ to collect my passport on behalf of me with respect that I am admitted to hospital for the period of _____ days/months. I am suffering from ________ and have to undergo a medical operation. I request that my passport should be submitted to ____________________ at this residential address _____________________________. I do hereby confirm and attest under the laws of the State of _______________, that all documents attached herewith are genuine and original,‭ ‬and declare under liability of perjury that all the information furnished is true and accurate. I understand that I shall be fully responsible for the undelivery, if any, of the said document(s) by my representative. This authorization shall be between the dates __________ and _________. I would like to thank you for your cooperation on this matter. If you should need any further clarification please contact me at _______________ (phone #) as soon as possible. If you are the incorrect contact for this authorization, please forward the form to the proper contact within the organization and keep my agent informed of the correct contact person. AUTHORIZATION LETTER: Where a person is appointed to perform a single, limited act only. Return from authorization letter sample to Home page. DISCLAIMER: LegalHandle.com - Authorization Letter Sample provides internet content that is designed only to entertain and inform and is not to be considered professional law/legal advice. Consult a licensed attorney or law firm in your State of residence who will advise and answer all your questions and concerns about any legal issues you may have.